This quaint and cozy home is well-kept and surprisingly roomy. Enjoy relaxing afternoons on the covered front porch with lots of extra shade from a mature pecan tree. 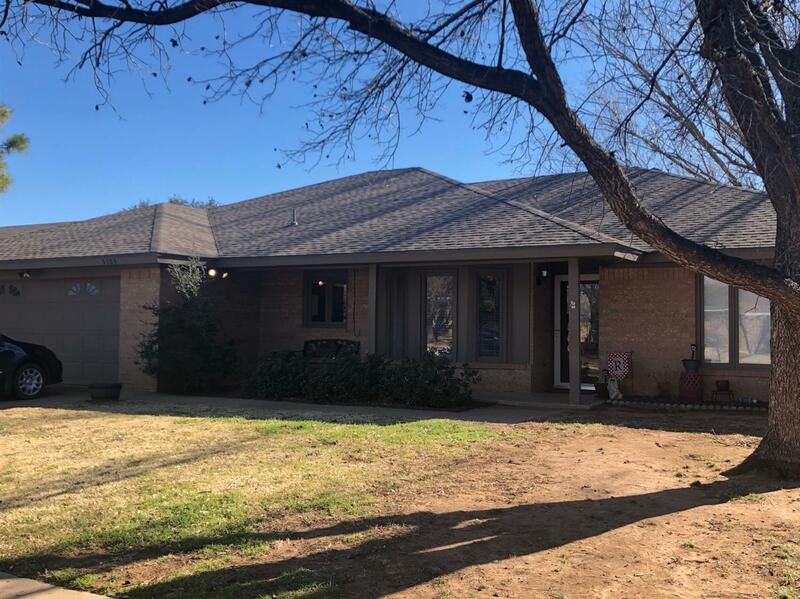 The front entry leads to a great family room complete with fireplace, a vaulted ceiling with painted beams, and a great picture window overlooking the back yard. The kitchen is another great family or entertaining space with beautiful display shelves, an island, and room for a full dining set. There are three bedrooms including a master bedroom with a great master bath. The laundry room is large with room for hanging, sorting and ironing. Everyone will enjoy hanging out on the patio or finishing up fun projects in the large shop in the large back yard. Extra amenities include recessed lighting, a sprinkler system in the front and back yards and a two-car garage.